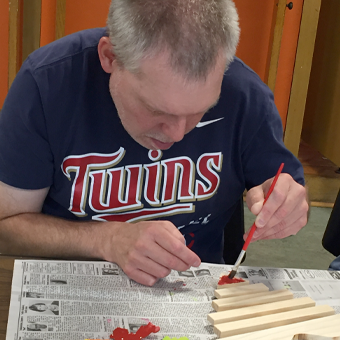 For over 30 years, Project SOAR has been providing programming, classes, activities and services that help break down barriers and allow adults with disabilities the opportunity to participate in Community Education programs. Project SOAR activities and classes are specially designed and adaptable for all abilities. Discover a new skill such as Arts & Crafts, Sewing, Cooking or other life skills. Socialize and meet new friends at BINGO, Movie Night, Karaoke, and Game Night. Become more active as you participate in recreational sports and Bowling activities, and when you show up to the Friday Night Dances. Explore our community when you attend Theater & Sporting events, participate in the Service Projects and go on Field Trips with Project SOAR.